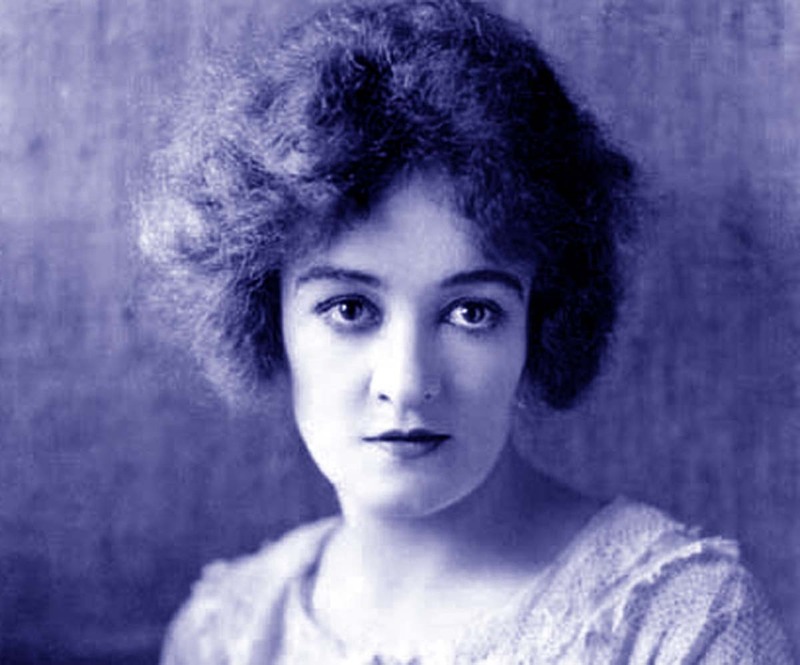 Gladys Brockwell is the subject of an article by author Allan R. Ellenberger, who discusses the death of the remarkable silent film actress. “Today is the 79th anniversary of the tragic death of actress Gladys Brockwell. Though virtually unknown today, Brockwell was a popular actress in the teens and 1920s. The Brooklyn-born daughter of a struggling chorus girl, Brockwell entered show business on stage at the age of 3, with her screen debut for the Lubin Company in 1913. Gladys Brockwell died on July 2, 1929, as a result of injuries suffered in a horrific car accident near Calabasas, north of Los Angeles. On screen, Brockwell livens up Frank Borzage's long, long 7th Heaven (1927) – her sharp features are a good antidote to Oscar winner Janet Gaynor's borderline-saccharine sweetness in that film. Additionally, Brockwell is the best thing in Bryan Foy's crime melodrama Lights of New York (1928), the first all-talking feature film ever made. Besides 7th Heaven and Lights of New York, both of which were released near the end of her life, Brockwell, usually in supporting roles, was featured in top productions of the 1920s, among them The Hunchback of Notre Dame (1923), with Lon Chaney; So Big (1924), with Colleen Moore; Stella Maris (1925), with Mary Philbin; Long Pants (1927), with Harry Langdon; Man, Woman and Sin (1927), with John Gilbert and Jeanne Eagels; The Woman Disputed (1928), with Norma Talmadge and Gilbert Roland; and, her last movie, The Drake Case (1929), in which Brockwell has a key role. Much like Lon Chaney's and Milton Sills' (both in 1930), Gladys Brockwell's death at the dawn of the sound era probably robbed Hollywood of a solid talent in talkies. GLADYS BROCKWELL IS A LONG FORGOTTON SILENT MOVIE ACTRESS WHO MET HER UNTIMELY DEATH ON JULY 2,1929. GOD BLESS GLADYS BROCKWELL! I found this article thru a link from something on Janet Gaynor. Sadly, Gladys has been pretty much forgotten today but she's one of my absolute favourites. She was great in 7th Heaven, my absolute favourite movie of all time. She chewed up every scene she was in, it was great. Her character was a real b'atch ;-D!!!!! Poor Janet was terrified of her. Off screen, tho, Gladys was a real gem; an incredibly intelligent woman who was a voracious reader, wrote poetry, composed music for the piano and designed, built and sold several homes. If one of her fans sent her a present she'd try to use that gift in a movie, then write the person to tell them to look for it in such and such a scene. She was amazing — someone I'd have gotten along quite well with!!!!! So, Andre, thanks for remembering a truly great talent.